Looking out from the parking area numerous trees conceal the Wissahickon Creek, a tributary of the Schuylkill River. 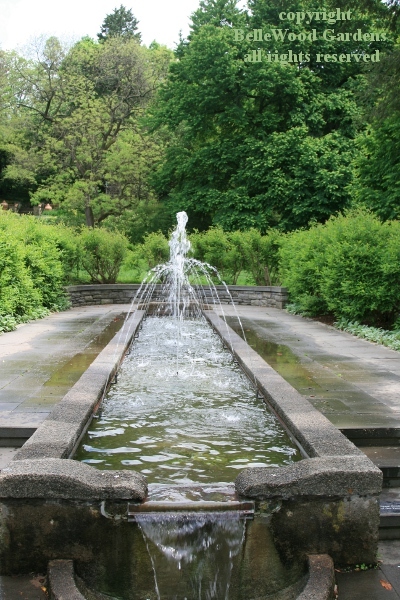 Water is an integral feature of the Morris Arboretum, which borders the watercourse. There is a wetland, a couple of small water courses, a pond and other constructed water features. Come, let's go splash and have a look but remember - do not wade in the water features when you make a visit to the arboretum. 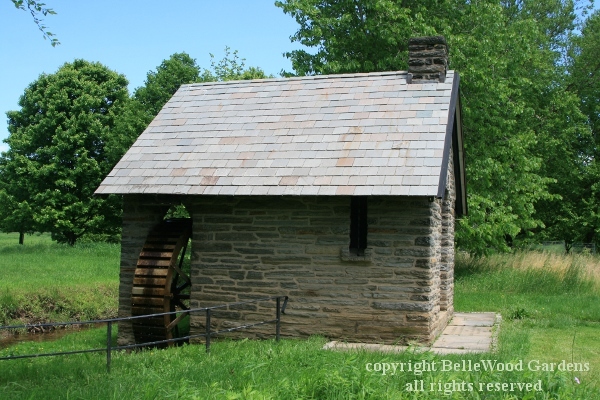 Just before you come to the entry kiosk is the 1908 Pump House and its water wheel. 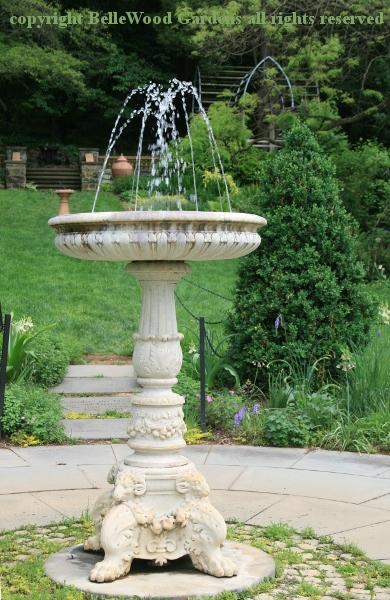 It was used to push water uphill to the garden fountain and the Compton Mansion (no longer extant). The East Brook cuts through the landscape. Simple stonework protects the banks from erosion. 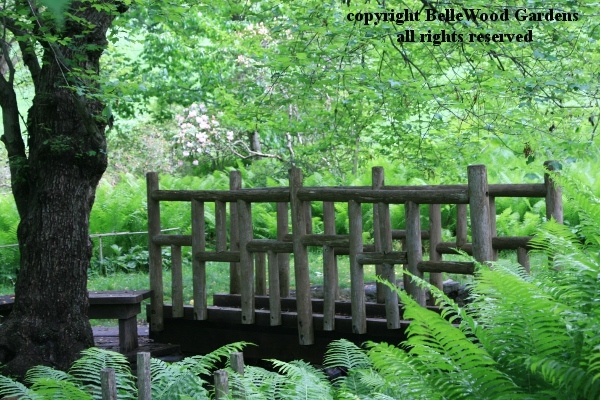 Half a dozen simple, rustic bridges provide crossing points on both paved and unpaved paths. 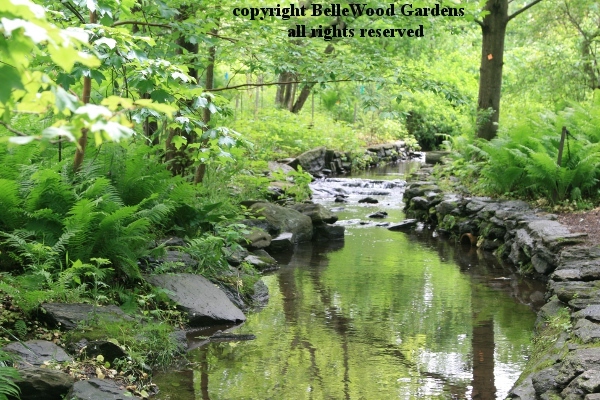 More romantic is the Swan Pond, a small lake created by digging and damming the East Brook. Yes, there are two swans, and also a Love Temple, like one John and Lydia Morris had seen in Venice. Its placement beside the swan pond creates a picturesque setting reminiscent of 17th- and 18th-century English landscape gardens. I'm sure that birds appreciate this tall fountain with its multiple littlewater jets. An attractive place where they can splash and bathe. 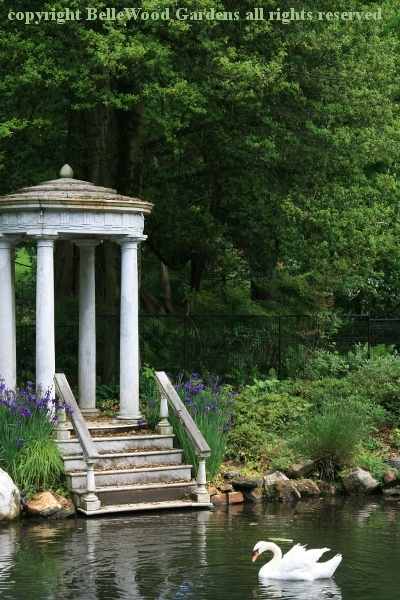 The Long Fountain is adjacent to the Pennock Flower Walk with its colorful seasonal displays. Inspired by a trip they took to the Alhambra in Spain, John and Lydia installed a fountain in the Moorish style, which was constructed in 1905. There's more - a Key Fountain, a Step Fountain, a Springhouse . . . walk fast is you want to tick all the sights off a checklist. Of course, then you won't really appreciate what you are hurrying past. Much better to plan on a couple of visits, maybe more. 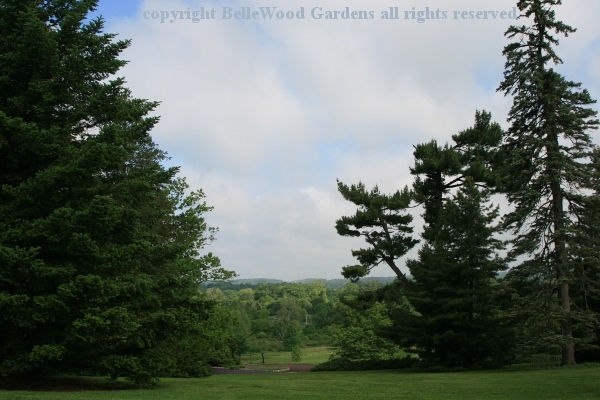 Then you could see the arboretum, its museum of trees and its gardens at different seasons too.